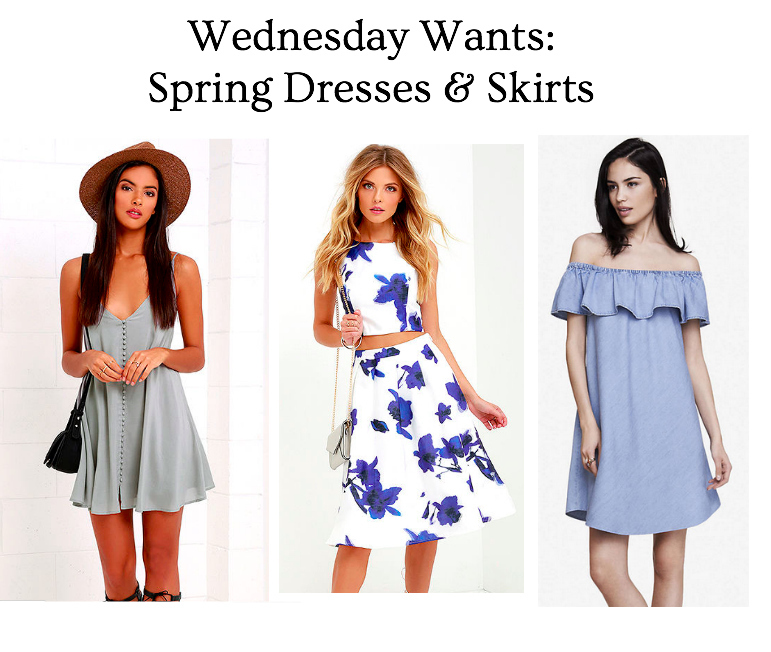 Continuing on my trend of Wednesday Wants being dedicated to spring items, this week I’ve got my favourite dresses and skirts. I especially love the long sleeve dress. The sleeves will keep you warm while there is still a bit of chill in the spring air! I also really love the loose fit that is a popular trend this spring. It’s chic but effortless – always a win in my books! I have had a ridiculous couple of days. Saturday was so great – I am an assistant choreographer for the BC Summer Games and Saturday we got to teach the beginning bit of choreography to the dancers. It was so much fun and the kids are so talented. Monday though… not so much. Have a great Wednesday! Be sure to follow me on instagram & twitter for even more outfits, home decor, and general work day inspiration! "5 Creative Ways to Wear a Button-Down Shirt"
And im glad you like my picks! 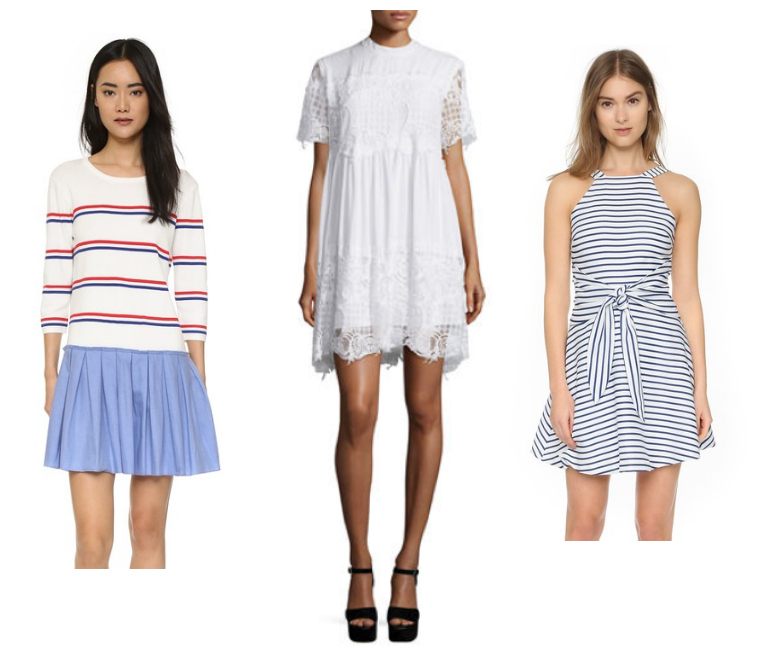 Love these spring picks, especially that two piece floral set! Sorry about your black eye, that sounds like something I would do!! Thank you! And haha we need a klutz' support group apparently lol. 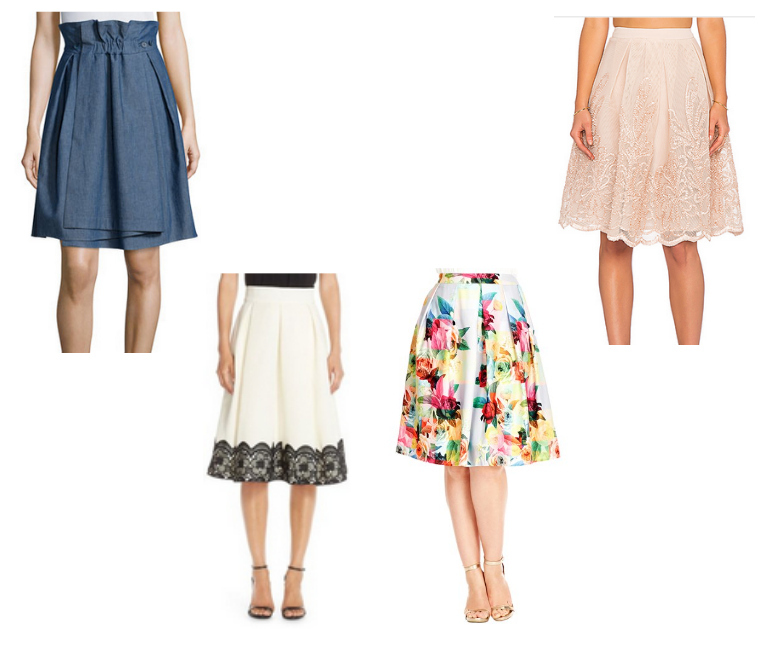 These are another round of fabulous picks! Im glad you're eye is ok! Thanks gorgeous! Haha and thank you re. my eye! Thankfully its finally healed! I love that denim off the shoulder dress!! Isn't it so pretty! Such a great 'outfit all in one'!